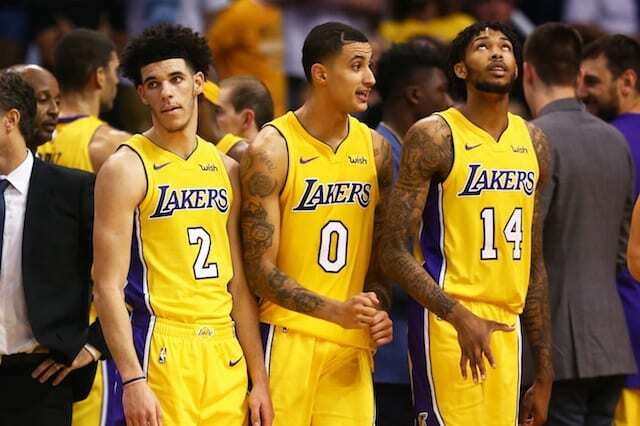 One area the Los Angeles Lakers have fared better in than almost anyone over the past few seasons is building up their young core of talent. Brandon Ingram, Kyle Kuzma, Lonzo Ball and Josh Hart form a group that can compete with any other team’s young talent. Just how well they stack up is up for debate, and Bleacher Report decided to rank the NBA’s best young talent. Not by teams, but simply as individuals. While a couple of Lakers were present, one who was left off is sure to turn heads. This requires a leap of faith now that Brandon Ingram will either be starting alongside LeBron James or coming off the pine in relief—both forcing him away from his former job description as one of the Los Angeles Lakers’ go-to scorers. But that could also be viewed positively, as Ingram will no longer be tasked with a role that overextends him and can instead focus on continuing to make shot-selection strides while blossoming into a suffocating perimeter stopper. If you focus only on Lonzo Ball’s shooting numbers and the ugly mechanics that made it so hard for him to find twine, you’ll get the wrong impression of this future star. Even as a rookie for the Los Angeles Lakers, he thrived as a dynamic facilitator, rebounding threat out of the backcourt and defensive stalwart who knew how to make the most of his quick hands. 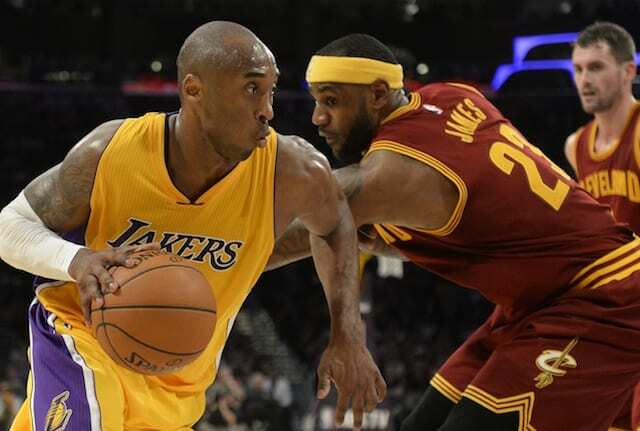 Both Lakers players could be argued as being deserving of being higher. Ingram is behind the likes of Myles Turner and Aaron Gordon, while Dario Saric and Jamal Murray are just ahead of Ball. The more shocking revelation however, is that Kuzma is completely absent. After an excellent rookie season in which he was an All-Rookie First Team selection, Kuzma would seem to be a shoo-in for the list. The fact that rookies DeAndre Ayton and Luka Doncic and role player Fred VanVleet are on the list ahead of him only serves to be more shocking. However, for someone like Kuzma, this should only serve as more motivation heading into his second season.